It seems like 2017 will become the year of revolution: Andrea Chenier leads the list of frequently seen operas on my opera exploration schedule. 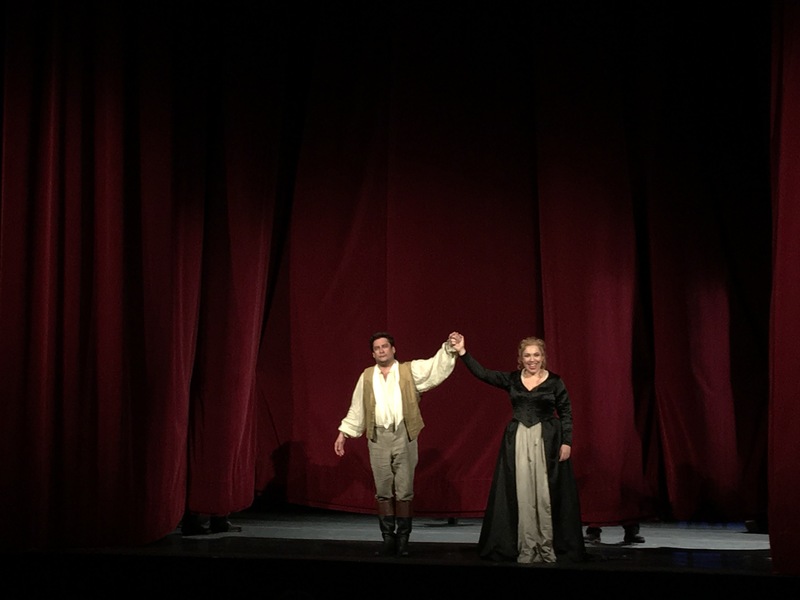 Bayerische Staatsoper with Jonas Kaufmann in February, Deutsche Oper Berlin with Alvarez now, then another Kaufmann at Munich Opera festival, – and according to Operabase, there are 11 productions running in 2017, and 8 of them in Europe in spring – so, I have seen already 2 of them. Is some operatic revolution brewing somewhere? The production is colourful and engaging, with smart stage props, packed with emotions, – humour, envy, hatred, love, grief and pity. 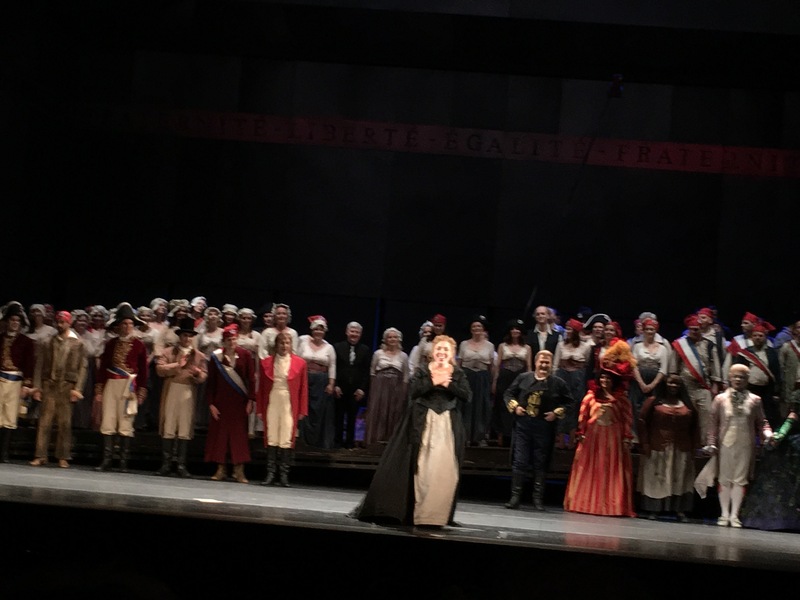 Noticed certain ideas that were similar to Munich production, even beyond the tagline of revolution eating its children, – obviously, it is hard to avoid quotations in visual storytelling of the same libretto and historic period. 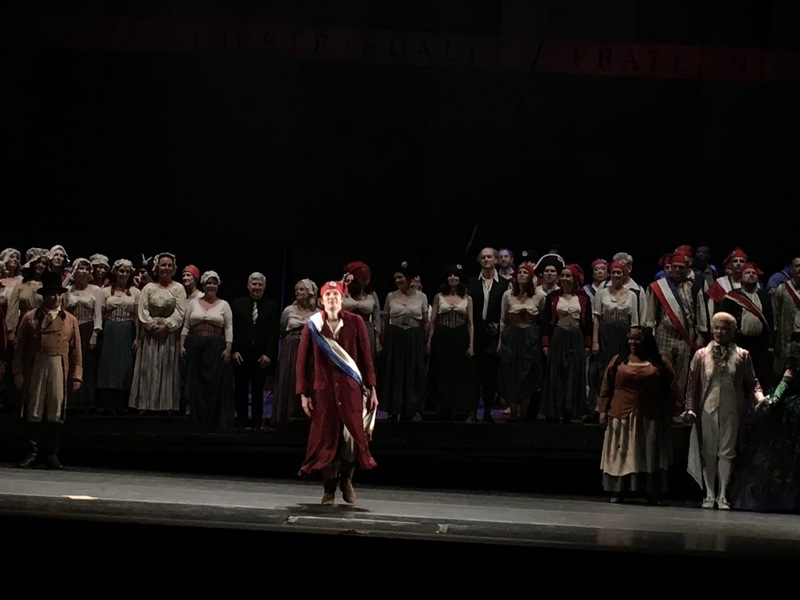 Nevertheless, some interpretations are quite different, especially in the character build of Gerard, also in defining Andrea Chenier. 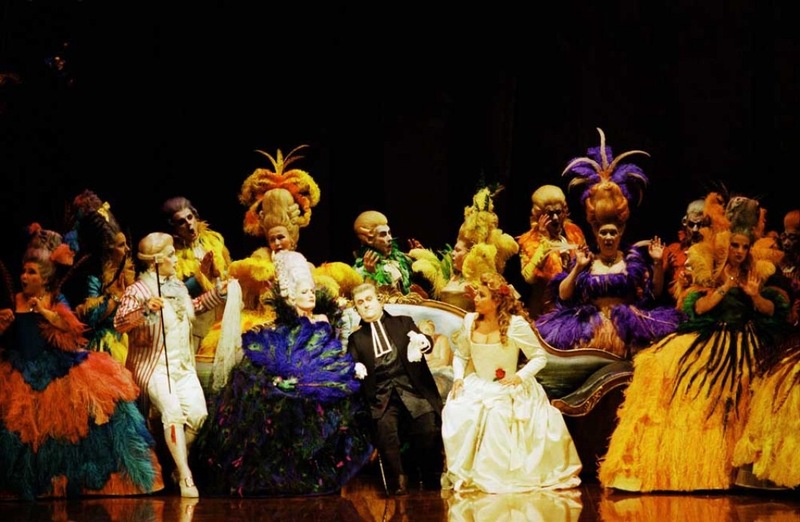 The performance was packed with Álvarez fans, and even if some empty seats could have been noticed, people at the entrance were looking for spare tickets available. 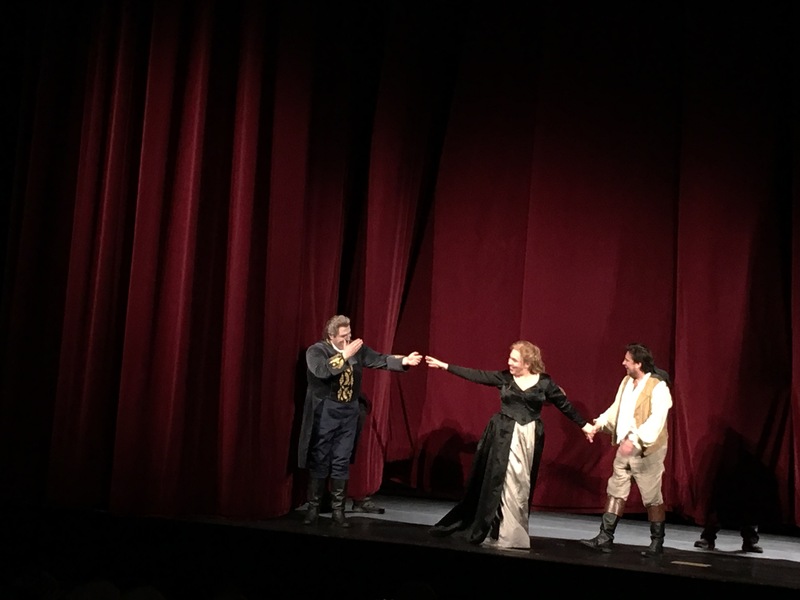 I have been seated between two peculiar opera lovers, – none of them applauded after any of signature arias when most devoted fans went ballistic with bravos. The guy on my left first time erupted in frantic applause at the end of part 1, and then engaged into enthusiastic and non-stop shower of appreciation at the end of the performance until the curtain was obviously closed for the last time and half of the audience was on a way. The guy on my right was coming straight from the walk through the park, carrying a thick novel, and his first reaction came out when performers came for the bows. The environment thus made me even bit uncomfortable when joining the enthusiastic crowd in applause upon expectations of conductor and the artist. 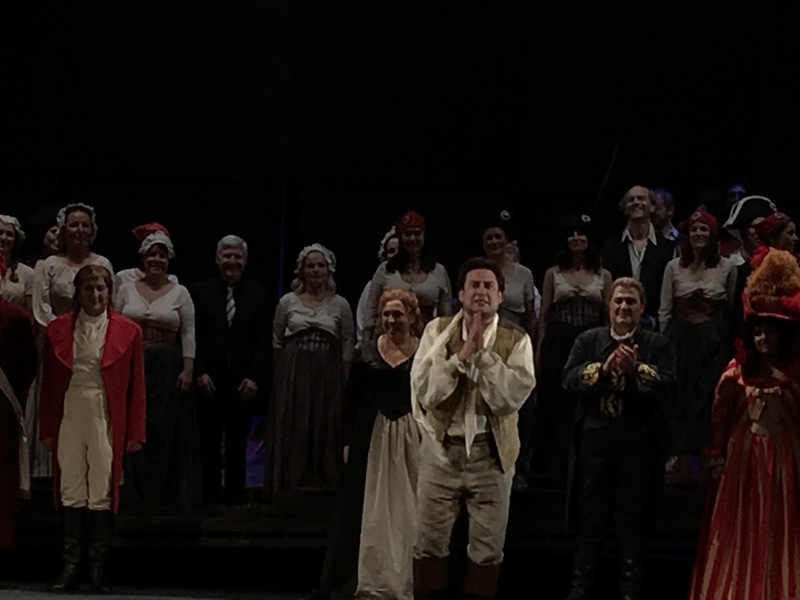 The most impressive performance last night was delivered by George Gagnidze as Gerard, in fact, the main protagonist in this opera. His “Nemico della Patria” made the audience to hold the breath. The portrayal of the character was done with scrupulous care to details, and Gagnidze conveyed transformation of the protagonist clearly, and his emotional challenges he overcame during this transformation. His acting was very well thought through, using both his acting as well as vocal talent. María José Siri as Madeleine delivered sound performance, her “La mamma morta” was emotional and heartbreaking. Nevertheless, her vocal palette is lacking variety of colours, and her top notes tend to become harsh. 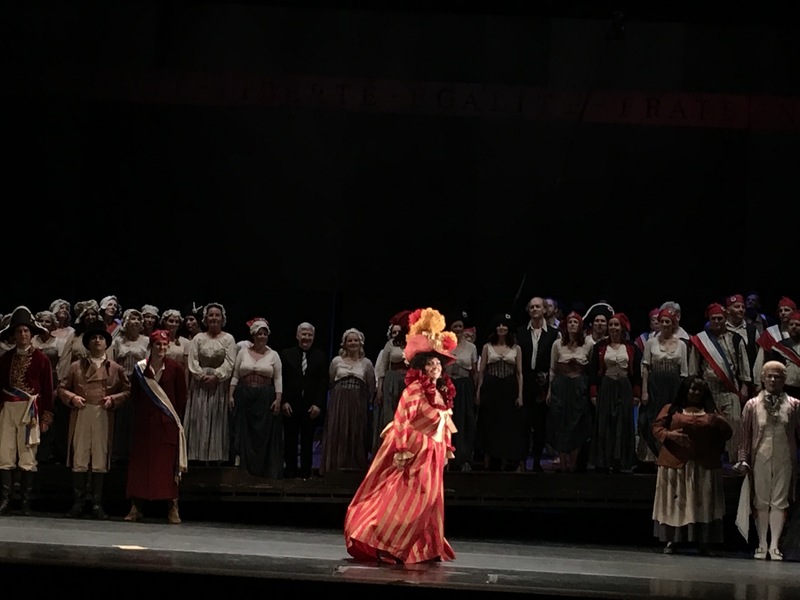 María José Siri has Madeleine in her repertoire for quite a long time, and her interpretation of the character is well developed and convincing. 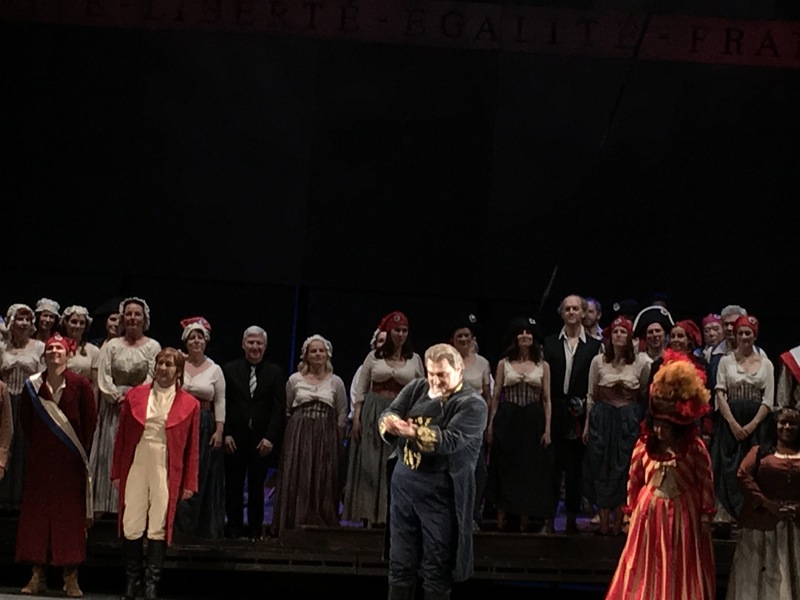 Marcelo Álvarez as Andrea Chenier proved that he is one of the leading tenors in the world currently, and his capability to fill in the huge opera house like Deutsche Oper Berlin is quite an easy task. He soared above orchestra effortlessly, and even if orchestra sounded a bit loud at times and covered his stage partners, including Gagnidze, it was never the case for Álvarez. 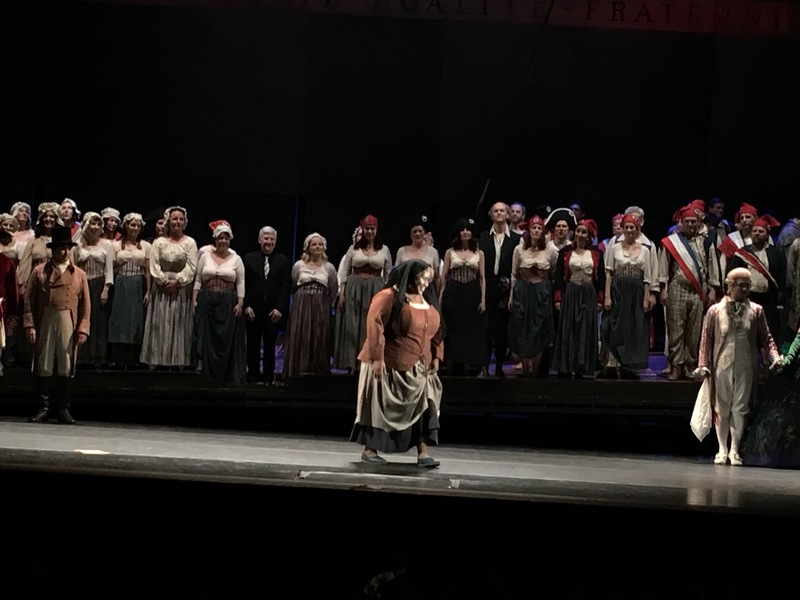 His enthusiastic, encompassing performance portrayed Andrea Chenier I have never seen before – I could even believe that this poet has the capability to mobilise the masses and become a real threat to any ruling regime thus deemed dangerous. The only problem with such interpretation is that it takes an effort to cool down for more intimate scenes expressing his love and devotion to Madeleine – where he succeeded most of the time but never achieved required switch into pianissimo. Thus the evening was high on revolutionary enthusiasm, and less on personal drama, which mostly was left to Gerard. 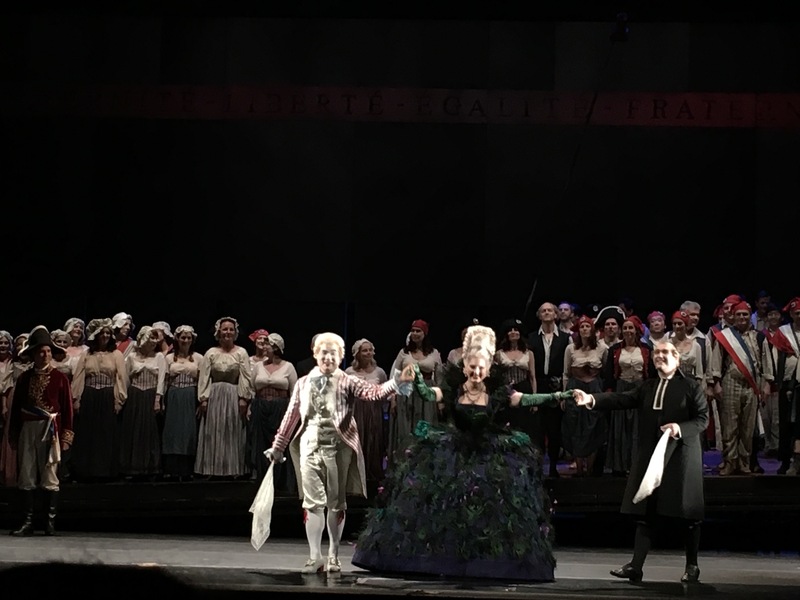 In overall, this has been highly satisfying operatic, evening, and certainly the production has been worth for revival. 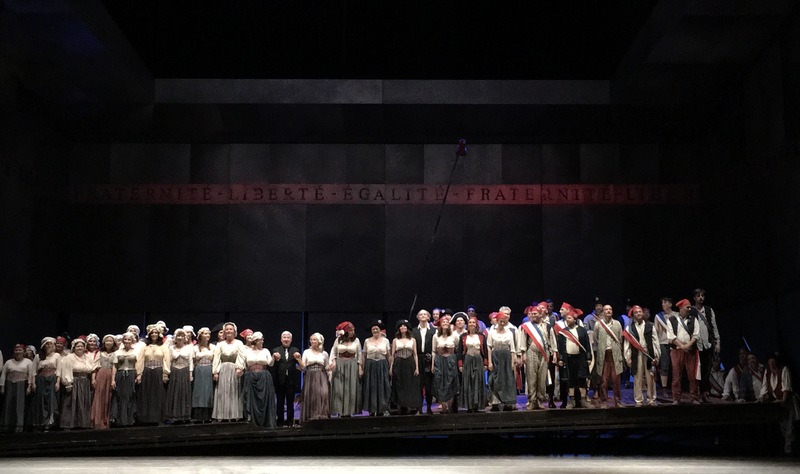 The ensemble of Deutsche Oper Berlin has done tremendous work, and the orchestra led by Paolo Carignani sounded well balanced, agile and created great support for the singers, even if a bit loud at the times – but this might have been an effect of my particular seating.